The undersigned organisations are writing to urge your delegation to ensure that serious and widespread violations of international human rights and humanitarian law in Sudan are adequately addressed by the Human Rights Council during its 24th session. Given its mandate to address gross and systematic violations of human rights, we are deeply concerned by the Council's persistent failure to respond effectively to the situation in Sudan. Since 2011, the Independent Expert on the situation of human rights in Sudan has held an item 10 mandate to offer technical assistance and capacity-building support to Sudan, but widespread and systematic violations of human rights and international humanitarian law have continued unabated. We consider that the Human Rights Council should now adopt a resolution under item 4 condemning these continuing violations, identifying concrete recommendations, urging for their implementation, and requesting the mandate-holder to monitor and report on them. Violations of human rights and international humanitarian law perpetrated by government forces and allied militias against civilians continued throughout the year in Darfur, Southern Kordofan and Blue Nile, and spread to Northern Kordofan. In Darfur, the government has failed to protect civilians from abuses during a surge in fighting between predominantly ethnic Arab groups over land and other natural resources in which its forces have participated. National Congress Party (NCP), censor media and shut down public forums and protests. There has also been a documented rise in restrictions on religious freedoms targeting Christian minorities. These restrictions have severely undermined the activities of civil society and prevented meaningful public consultation in Sudan’s constitution-making process. 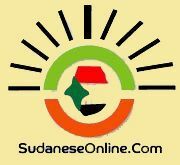 Sudan is due to adopt a new permanent constitution, which the Government has declared will be based on Shari’a (Islamic law), and is preparing for national elections in 2015. We are concerned about increasing restrictions on fundamental rights and freedoms at a time when Sudan is preparing for these important processes that will determine the future of the country. We regret that previous resolutions adopted by the Human Rights Council failed to condemn the widespread violations of international human rights and humanitarian law committed in Sudan and did not identify concrete priority areas of action to improve the protection of basic human rights. In light of the continuing wide range of human rights and international humanitarian law violations documented by the undersigned organisations, we urge your government to support the full engagement of the Human Rights Council in responding to violations of international human rights and humanitarian law in Sudan under item 4. • Renew and strengthen the special procedure mandate on Sudan for three years under Item 4, establishing a Special Rapporteur on the human rights situation in Sudan with a mandate to monitor the situation and report twice a year to the Human Rights Council and the General Assembly on violations of international human rights and humanitarian law in all parts of Sudan. Attached to this letter is a detailed briefing note on the nature and scope of the violations of international human rights and humanitarian law committed in Sudan since the renewal of the mandate of the Independent Expert on the situation of human rights in Sudan by the Human Rights Council in September 2012. Thank you for your attention to these urgent issues. Please feel free to contact us to discuss this letter or for further information. In Darfur, intensified violence and international human rights and humanitarian law violations and abuses forced more than 300,000 people to flee their homes in the first five months of 2013 alone.1 Government forces and their allied militia and various armed opposition groups continued to clash. In Jebel Mara in February, and in East and South Darfur in April, Sudanese air and ground forces, including allied militia, launched major attacks on civilian areas, killing and injuring dozens and destroying civilian property. The violence displaced tens of thousands of civilians, many of whom have not returned to their villages. The government continues to restrict the African Union-United Nations Mission in Darfur (UNAMID) and non-governmental groups from accessing conflict affected areas to provide humanitarian assistance, protect civilians, or monitor the human rights situation. Despite announcements by the National Special Prosecutor for Darfur, the government has made no tangible progress holding to account those responsible for the most serious human rights violations, including arbitrary detention, torture and gender based violence. 1 UN Security Council, Report of the Secretary-General on the AU/UN Hybrid Operation in Darfur, 12 July 2013, UN Doc S/2013/420. 2 Amnesty International, “Darfur: Government forces involved in gold mine attacks”, 30 January 2013, http://www.amnesty.org/en/news/darfur-governm...attacks-2013-01-30-0. 3 Human Rights Watch, “ICC Suspect at Scene of Fresh Crimes,” 3 June 2013, http://www.hrw.org/news/2013/06/03/sudan-icc-...t-scene-fresh-crimes. 4 Amnesty International, “We had no time to bury them — War Crimes in Sudan's Blue Nile State”, 10 June 2013, https://www.amnesty.org/en/library/asset/AFR54/011/20...0c8a7-55aa-4f04-8ab7- cf85ce3e4c8f/afr540112013en.pdf; Human Rights Watch, “Under Siege,” 11 December 2012, http://www.hrw.org/reports/2012/12/11/under-siege. Sudan also continues to obstruct humanitarian access to areas controlled by the SPLA-North. While an agreement between the Sudanese government and the SPLA-North has not been reached, both parties to the conflict have an obligation to facilitate humanitarian access, and the Sudanese Government should not interfere with civilians’ right to access to basic goods and services. The government, through the National Intelligence and Security Services (NISS), continues to arbitrarily arrest perceived opponents of the ruling National Congress Party (NCP) in violation of Sudanese and international human rights standards. 5 Human Rights Watch, “Under Siege,”above, note 4. 6 Amnesty International, “Torture Fears for Man Disappeared in Sudan”, 12 October 2012, http://impact22.amnesty.org/en/library/asset/...8cbe6-8c0e-44c8-bc2a- 471c6d2ab3d1/afr540462012en.html. 7 Human Rights Watch, “Wave of Arrests After Rebel Offensive,” 10 July 2013, http://www.hrw.org/news/2013/07/10/sudan-wave...fter-rebel-offensive. 8 African Centre for Justice and Peace Studies, “Sudanese political opposition leaders detained incommunicado and at risk of torture”, 15 January 2013, http://www.acjps.org/?p=1280; Human Rights Watch, “Crackdown on Political Opposition,” February 26, 2012, http://www.hrw.org/news/2013/02/26/sudan-crackdown-political- opposition. 9 Amnesty International, “Sudanese women held without a trial”, 19 February 2013, http://amnesty.org/en/library/info/AFR54/005/2013/en. 10 See, e.g., African Centre for Justice and Peace Studies, “Sudanese journalist tortured and subjected to racist abuse by NISS”, 8 November 2012, http://www.acjps.org/?p=896. 11 Amnesty International and Human Rights Watch joint statement, “Torture, Abuse of Demonstrators”, 11 July 2012, http://www.hrw.org/news/2012/07/11/sudan-tort...-abuse-demonstrators; ACJPS, “Excessive force, mass arbitrary detentions, ill-treatment and torture used to crack down on popular protests in Sudan”, 27 July 2012, http://www.acjps.org/?p=1060. Security forces continued to use excessive force to disperse student protests and gatherings. 12 United Nations, “Press Statement issued by the UN Independent Expert on the situation of human rights in the Sudan, Professor Mashood Adebayo Baderin, at the end of his second mission to the Sudan Khartoum”, 10 February 2013. 13 African Centre for Justice and Peace Studies, “Sudanese police, security forces and student militia group fire live ammunition at Darfur students; nine students sustain gun-shot wounds”, 22 May 2013, http://www.acjps.org/?p=1418. 14 African Centre for Justice and Peace Studies, “Call for immediate independent investigation into student deaths and excessive use of force by Sudanese authorities”, 10 December 2012: http://www.acjps.org/?p=1127. 15 Ibid. 16 African Centre for Justice and Peace Studies, “Civil society organisations closed in renewed clamp down on freedom of association in Sudan”, 9 January 2013, http://www.acjps.org/?p=1346; Human Rights Watch, “End Crackdown on Civil Society,” January 13, 2013, http://www.hrw.org/news/2013/01/13/sudan-end-crackdown- civil-society; East and Horn of Africa Human Rights Defenders Project, “Sudan: End Harassment of Human Rights Defenders,” 18 January 2013, http://www.defenddefenders.org/2013/01/sudan-end-harassment-of- human-rights-defenders/. 17 African Centre for Justice and Peace Studies, “Sudan Human Rights Monitor”, March-April 2013. 18 African Centre for Justice and Peace Studies, “Sudan Human Rights Monitor” Update, January-February 2013. 20 African Centre for Justice and Peace Studies, above, note 15. “Sudan Human Rights Monitor”, http://www.acjps.org/?cat=6. 23 African Centre for Justice and Peace Studies, “Sudan Human Rights Monitor”, October 2012-February 2013. African Centre for Justice and Peace Studies, “Sudan Human Rights Monitor”, May-July 2013, forthcoming. 25 African Centre for Justice and Peace Studies, “Sudan Human Rights Monitor”, March-April 2013, http://www.acjps.org/?cat=6. 26 African Centre for Justice and Peace Studies, “Sudan Human Rights Monitor” Update, January-February 2013. 27 Ibid. See also confidential records on file with African Centre for Justice and Peace Studies. Despite passing a 10-year action plan for human rights this year, Sudan has not demonstrated political will to change its abusive and restrictive practices. and#65532;28 African Centre for Justice and Peace Studies (ACJPS), “Excessive force, mass arbitrary detentions, ill- treatment and torture used to crack down on popular protests in Sudan”, 27 July 2013, http://www.acjps.org/?p=1060. 29 International Covenant on Civil and Political Rights, 1966, Article 7 and African Charter on Human and Peoples’ Rights, Article 5, to which Sudan is a State party. In the case of Doebbler v Sudan, concerning the use of flogging as a punishment in Sudan, the African Commission on Human and Peoples’ Rights ruled that: “there is no right for the government of a country to apply physical violence to individuals for offences. Such a right would be tantamount to sanctioning State sponsored torture”. 30 Redress, African Centre for Justice and Peace Studies, Physicians for Human Rights and Human Rights Watch, “Sudan: Doctors Perform Amputations for Courts”, 27 February 2013, http://www.acjps.org/?p=1317. 31 African Centre for Justice and Peace Studies and Human Rights Watch, “New Law Allows Military Trials of Civilians,” 9 July 2013, http://www.hrw.org/news/2013/07/09/sudan-new-...ary-trials-civilians.